Established in 2019, Umbingo casino is wholly owned and operated by the 888 Group. The landing page for the operator depicts a colourful bird, and a bright sunny day somewhere far away and exotic. And it just so happens there is a welcome offer smack in the middle of the screen to greet you! The myriad of vines and the caveman theme help the Umbingo stand out in the crowded competition. The casino has dual licenses from the Gibraltar Gambling Commission and the United Kingdom Gambling Commission. Umbingo encrypts all data between players and their servers, protecting your information and confidential details. The website was designed with mobile phones and tablets in mind, but it still manages to look good on desktop. The operator is primarily focused on bingo, while providing access to some slots and table games. Most of the available slots are older titles that were super popular with gamblers. If you want to play brand new releases, Umbingo is not the right casino for you. Still, some awesome providers have their games available at the casino, including NetEnt, Thunderkick and Bally, among others. Both the welcome bonus and all other available promotions are exclusively catering to bingo players. That also includes the loyalty program. If you are primarily in it for the bingo, it is a great deal. But if you were hoping for slot based bonuses, you will be disappointed. While Umbingo has an interesting gallery of slots, we would not go ahead and call it expansive by any measure. There are a total of 195 available games, and that includes slots, table games, live casino titles and scratch-cards. And while every other category has its own label, you cannot search specifically for slots. Considering it was not the focus of the website, the fact it offers over 150 video slots is quite impressive. The casino is mostly focused on titles released over the last five to seven years that made a real impact. However, we did see an occasional new slot. If you want to play cutting edge, brand new games, Umbingo does not cater to your demographic. But if you just want an occasional slot in between bouts of bingo? Then you have come to the right place. Jackpot games have their own category. There are only 8 of them, though all were quite well received. There are also 8 table games available, not counting the live casino section. Titles like roulette and baccarat are absent, as are any more unique games. Instead, players have their pick between four blackjack and four video poker releases to enjoy. Fortunately, the live casino section does let gamblers get their roulette fix. But if you were hoping to play poker against others, you will be sorely disappointed. Of the 6 live titles, three play roulette, and three play blackjack. Finally, we have a total of 6 scratch-card releases, and a few extras like Keno scattered about the game library. Naturally, there are a bunch of bingo games, but those have their own specific section of the website. Umbingo offers the following deposit methods for British players: Visa and MasterCard credit cards, Visa debit cards, Paysafe, Paypal, Entropay, Wire Transfer and ApplePay. Keep in mind ApplePay can only deposit money. Gamblers can withdraw cash anytime they like. However, any bonus funds have to first meet wagering requirements before they can be withdrawn. Umbingo has to carry out a verification check to make sure players are of legal age. Until the process finishes, players are unable to even make a deposit. You can request a total of ten withdrawals in a single day, with a minimum withdrawal of £5. Withdrawals take two business days to be processed by the casino, after which completion depends on your payment processor. For British gamblers, MasterCard is fastest, followed by Paypal. The operator holds all player funds on a bank account separate from other company finances. Umbingo does not guarantee this money will be repaid in the case the casino becomes insolvent. The operator has two licenses. One by the UK Gambling Commission which applies to British players, and one by the Gibraltar Gambling Commission. Since it has a UKGC license, Umbingo provides slightly different terms and conditions for British gamblers to comply with regulations. The casino encrypts all data sent to their servers in an effort to protect your information from being tampered with. The operator shares your personal information with the rest of 888 Group and third party subcontractors for marketing purposes. If something goes wrong, you can reach out to the casino’s support staff via live chat, e-mail or by calling the toll free number. Live chat and the phone number are only available from 10 AM to 2 AM every day of the week. Meanwhile, sending an e-mail guarantees a reply within 48 hours or less. The FAQ provides useful information on Umbingo, and we recommend looking it over. From the FAQ page, you can also access different Bingo help pages, to help you learn the game if you never had the chance to before. At the time of writing this review, the casino does not have any social media presence. 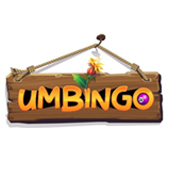 Umbingo casino is fantastic if you enjoy bingo. But if, like us, your focus is more on slots, then its offering will not be enough to draw you in. Lots of bonuses, a wide variety of games, and two very respected licenses are more than enough to carry the operator forward. Its theme also differentiates it from the crowd, which is a nice touch. We do wish there was a little more slot focus, but we do not consider it a deal breaker. Beyond that, our only nitpick is the fact live chat is not available 24/7. We see a bright future ahead for Umbingo and the 888 Group. It is clear the casino is in good hands currently, and it has no major flaws holding it down.